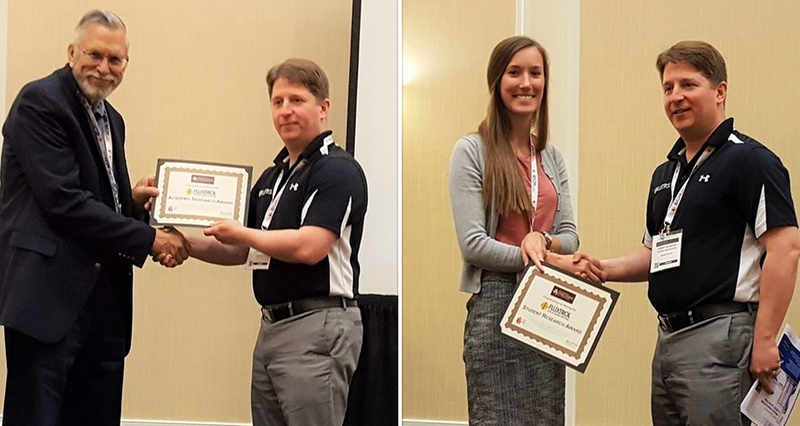 Fluxtrol Inc. presented two awards during the Thermal Processing in Motion conference last week. Congratulations to Professor Bob Cryderman and the Colorado School of Mines for winning the Fluxtrol Inc. Academic Research Award and Virginia Judge from the Colorado School of Mines for winning the Fluxtrol Inc. Student Award! Fluxtrol Inc., in conjunction with the ASM Heat Treating Society, will be recognizing and awarding student and academic research in the field of thermal processing.